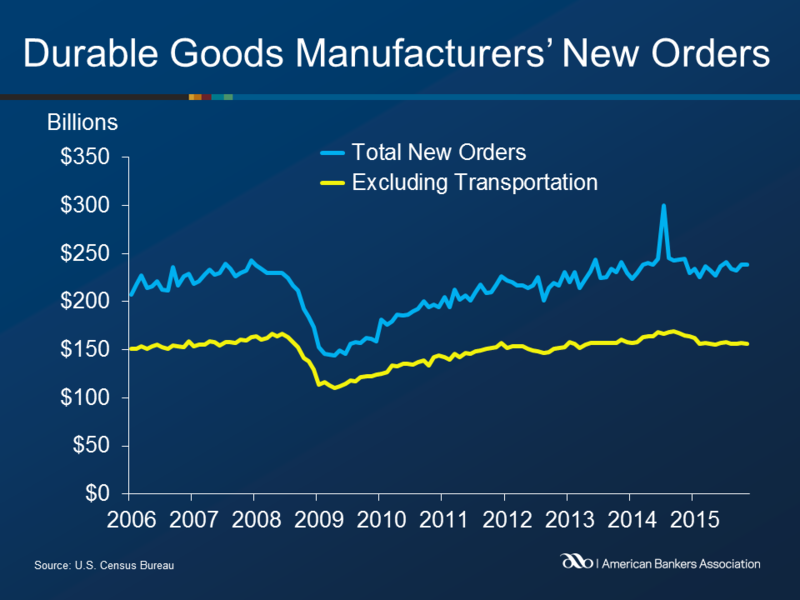 New orders for manufactured durable goods were virtually unchanged in November, increasing $0.1 billion to $238.8 billion according to the U.S. Census Bureau. The November increase followed a 2.9 percent increase in October. The majority of the increase was attributable to an increase in new orders for transportation equipment. Excluding transportation, new orders decreased 0.1 percent. New orders excluding defense fell 1.5 percent on the month, as orders of nondefense capital goods fell 6.3 percent to $77.2 billion. Over the year, new orders of nondefense capital goods are down 10.7 percent. Shipments of manufactured durable goods, up two of the last three months, grew 0.9 percent to $241.8 billion, following a 0.3 percent increase in October. Inventories of manufactured durable goods, down six of the last seven months, decreased 0.3 percent to $395.7 billion, following a 0.3 percent October decrease.